This video is called Saving the Black Rhino. The birth of Ol Pejeta Conservancy’s 100th black rhino offers new hope for a species on the brink. On a continent where rhino populations have been plagued for decades by illegal wildlife trade, and where poaching is just as much a threat today as it was three decades ago, the birth of a new black rhino shows there is still hope for this Critically Endangered species. October saw the arrival of Ol Pejeta Conservancy’s 100th black rhino, making the Kenyan sanctuary’s black rhino population the most important in East Africa for conservation. Thank you for blessing the souls of turkeys, that they may rest in peace, released from the pain and suffering of this world. May they, who are forever innocent, walk once again in the sunlit grasslands of heaven, may they fly under the blue sky, may they dance at sunrise by the streams that flow through the meadows. May they be blessed always with happiness and the companionship of their mates and friends, for in your sacred world there is no distance, no time, and no separation. May these children of the earth hear, in the air, the music of the wind, the singing of the songbirds, the silence of the snowfall, and the enchanted whisper of the forest leaves. May they may be free, now and always, protected from all harm, held in the grace of your hands, in the infinite peace and power of your presence. Holy One, may all your creatures of innocence be blessed, that the dolphins may play in the waters, the cats may walk in the moonlight, the birds may fly in the wind. That the wings of your Holy Spirit may soar again in the sunlight of your land. May the wild ones and the tame ones live in peace, forever, in your kingdom. 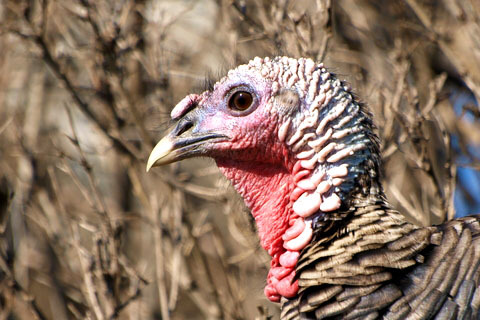 Photo: © Dule964 | Dreamstime.com / A Wild Turkey in the wild. Animals Asia (www.animalsasia.org) has welcomed news that China intends to end laws requiring cosmetics to be tested on animals. Guidelines from the China Food and Drug Administration suggest animals testing will no longer be mandatory from June 2014. This will initially be applied to China-made products and eventually, it is anticipated, to imports. “This is not the first time in recent weeks that we have talked of significant breakthroughs in terms of animal welfare in China. Young people are turning in greater numbers to animal welfare activism and they are being heard. 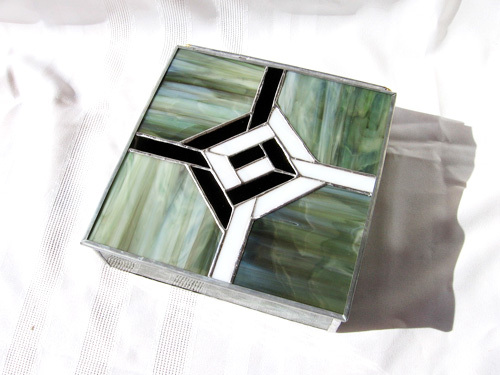 “This change has been long hoped for but few anticipated it happening quite so soon. In many ways this is a victory for all anti-testing campaigners. The people who persuaded Western governments to ban animal testing have caused a domino effect that has resonated with both the authorities and people of China resulting in this ground-breaking progress. Past regulations meant that if international cosmetics companies wanted to market ranges in China they were forced to test on animals – a fact unlikely to go down well with customers elsewhere. It’s hoped that while testing on animals has not been outlawed, the option now to create “cruelty free” brands will see increasingly aware consumers lured away from brands associated with animal testing. “A changing China is the biggest story in international animal welfare activism today. Just as regulations for testing cosmetics can become internationally standardised – so can concepts of animal welfare and conservation. 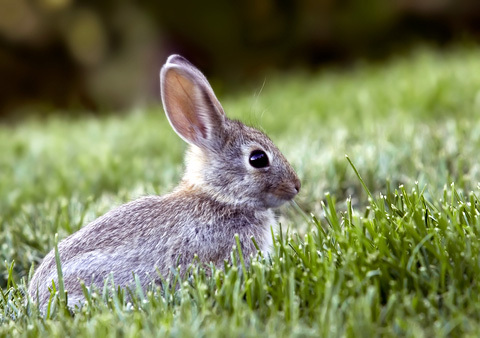 Photo: © Russell Shively / Dreamstime.com / A western cottontail living happily in the wild. The power has been down here since the area was hit by cyclone Phailin and the floods that followed; this has meant that we’ve had no way to communicate. Most recently, we rescued more than 1,000 animals from severe flooding in the Aska block of Ganjam District, where three villages were cut off for two days by floodwaters. They were in great danger, but thank God, we were able to save them. Thanks to all our volunteers and supporters, and with the help of local farmers, we were able to give the animals shelter, a safe place for them to rest, and food. We’ve continued our work of repairing shelters, and we’ve been educating the owners in the care and adequate feeding of their animals, sometimes returning to the same sites three and four times, as needed. Having repaired more than 1200 shelters so far, we’re happy to see the animals now resting in a dry place, with proper food to eat. We wish we could cover the entire flooded area of Odisha, but we do as much as we possibly can, as much as time and our finances will allow. We are pleased that we’ve been able to help so many animals. 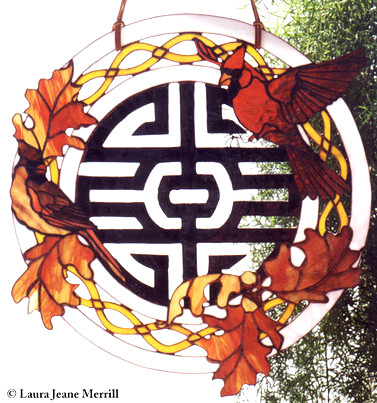 To visit the website of the Maitri Club, click here. Conditions are improving gradually in cyclone- and flood-affected districts of coastal Odisha. But the situation in many places of Ganjam district remains grim. The catastrophe has been called the worst in living memory for Odisha. Our disaster response team is still on the scene and, as the roads are being cleared, is now able to reach remote areas to care for the animals. As well as direct feeding of animals, we have also handed over food to village authorities and community groups so they can continue to feed stray hungry animals in their villages until the situation returns to normal. We are making good progress, but there is still so much to do. Many neighborhood dogs are hungry and scared; our rescue team is feeding these animals with the help of village volunteers. We traveled to Kalyanipur village in the Kainchapur panchayat of the Ganjam district, one of the areas hardest hit by cyclone Phailin. Over a hundred homes were leveled. The scene, even more than one week after the cyclone, is truly catastrophic. 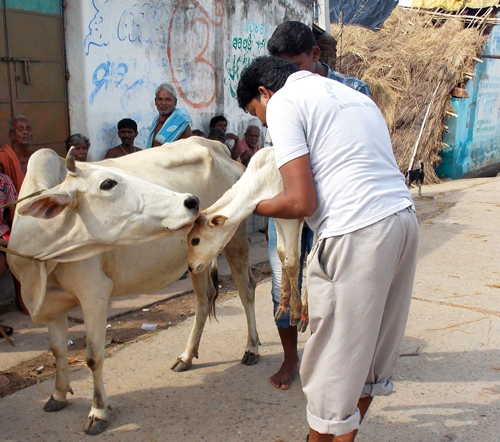 At Kalyanipur village, Bichi, Mantu, Sukumar and Bijaya pitched in to help with feeding stray dogs, cats and bulls. The animals were very happy to eat. They fed 86 animals in this village. Subhajyoti, Magta, Nimain, and Fakira assisted Dr. Behera and Dr. Piyush, who is a vet with HSI – Asia (Humane Society International), in treating affected animals. By the end of the day, they had treated 91 animals. Mr. Mantu, one of our disaster response team members, rescuing an injured calf to be treated. 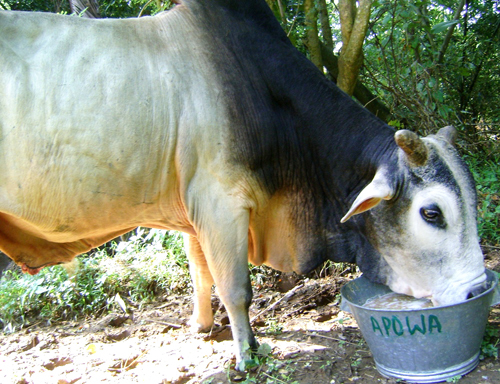 The APOWA disaster rescue team is continuing to bring food and treatment to affected animals. Our team, which includes two veterinarians and several volunteers, has been working continuously in the affected areas, supporting relief efforts and providing treatment and emergency feeding. Today, we visited Sanakainchapur of Kainchapur panchayat in the Ganjam district. 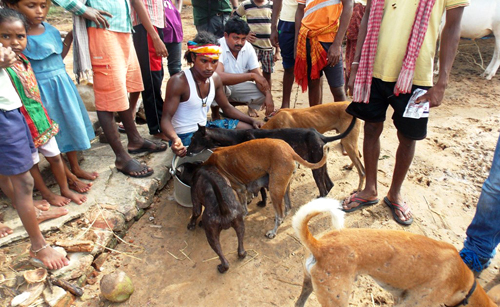 76 animals were given food and medical care in this village. Today, our team visited Jagannathpur village of Kainchapur panchayat of the Ganjam district to respond to an urgent plea for help. Our rescue team worked long and hard, and were able to provide relief to 133 animals. They were also given a vitamin supplement. The team immediately got to work mixing vitamins and nutritional supplements into the food for the cattle. The team were helped by community volunteers from the village. This was truly an amazing community of animal lovers! 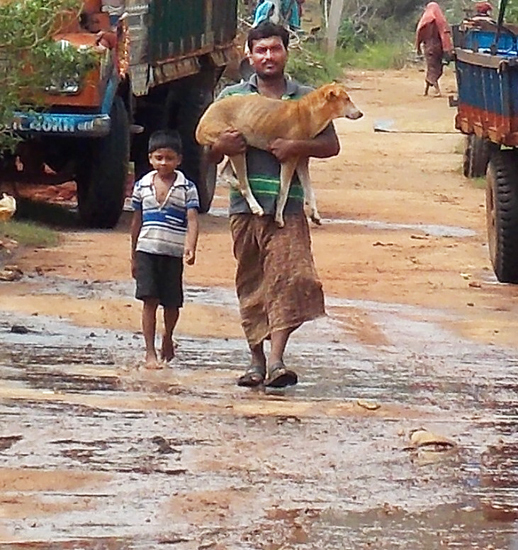 A cyclone survivor from Satrusoul village, who is a community volunteer, brings his companion dog for treatment. 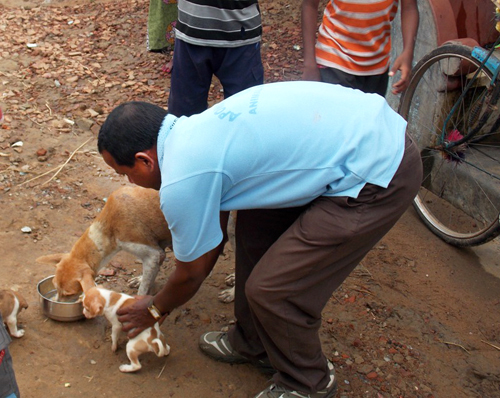 Mr. Bijaya is helping a puppy, while our team feeds her mother. Our disaster response team has been working for the last two weeks to provide relief and rescue to the surviving animals. Today, we visited Borigaon village in the Humma panchayat of the Ganjam district. There we worked with our dear friend, Mr. Rabindra Sahu, and volunteers from the Rushikullay Sea Turtle Protection Committee, Ganjam. Our team treated 92 animals for various ailments, like fevers, coughs, and injuries caused by the cyclone and floods. We are also bringing food for stray bulls in flooded areas. It was another long working day for APOWA’S disaster rescue team in Satrusoul village in the Subalaya panchayat of the Ganjam district. Our team reached 208 cyclone victim animals providing food and medical treatment. This was a tiring day especially for the drivers Subhajyoti and Mantu who had to drive ten hours straight. 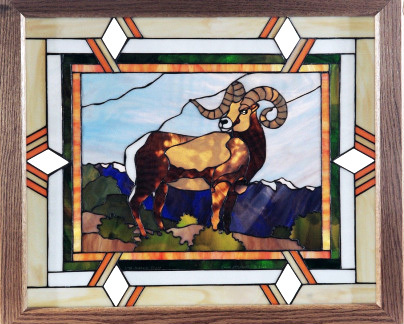 The drivers’ dedication to APOWA’s mission and to the animals cannot go unmentioned. Nonstop work, loading, walking, and handling animals illustrate what teamwork and love for animals really means. 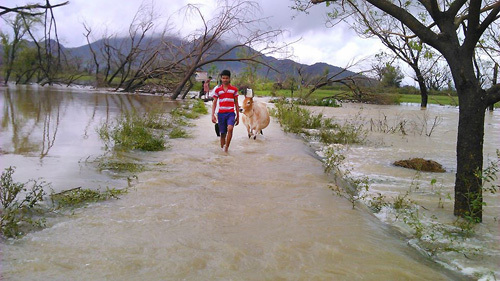 One of our volunteers is traveling with medicines to a flooded village to provide relief to the animals. We are grateful to over 20 volunteers who devote their time and love to help us in our mission to rescue, nurture and provide emergency feeding to cyclone and flood victim animals in Odisha. Mr. Bichitra Biswal, who traveled from the Puri district, is part of a dedicated group of core volunteers who have been helping us since the beginning of the cyclone. We are also mobilizing village volunteers who come forward to help in our relief efforts for animals in their village. They are a terrific group of volunteers and we thank them for all of their hard work and support! It is a great feeling to know that we are making a difference for animals. It has always been and will continue to be all about the animals. In this precarious situation we would request to all to extend your kind support to continue our life- saving work in areas hit hard by the cyclone and floods. To donate via Help Animals India, click here.